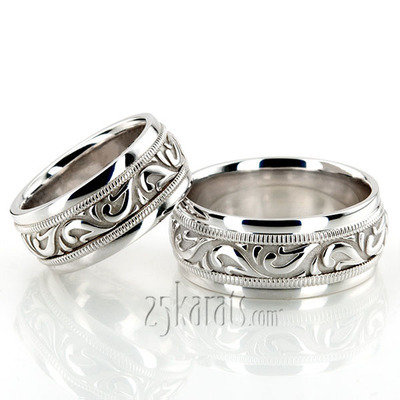 An attractive Antique design, this 7.5mm wide Handcrafted wedding band set has a lovely wave style, and beaded motif at the edges. 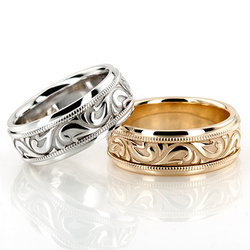 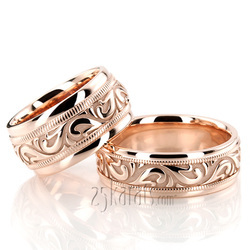 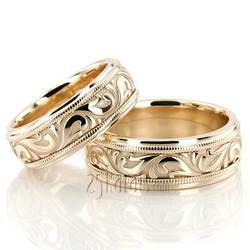 This wedding band is also available in 6.5, 8.5, 9.5, 10.5, 11.5mm, and Two Color Gold. 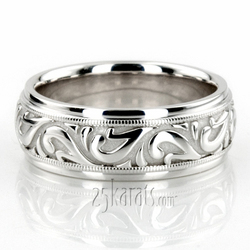 The band is high polished. Total Gram Weight*: 29.92 grams.